T-Mobile to offer Eee PC on Boxing Day? A fairly credible rumour has surfaced that T-Mobile will be getting into the netbook sales market on Boxing Day with an Asus Eee offer. It has become increasingly common for mobile phone operators to bundle netbooks with their offerings, and T-Mobile has used Acer laptops in the past but not the smaller, cheaper sub-notebooks. 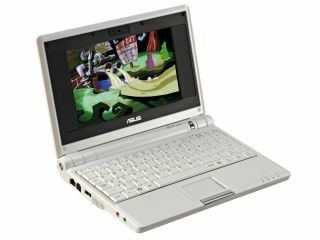 However, the relationship with Acer stalled and it appears that it is Acer's rival Asus – the original netbook manufacturer – that has stepped into the breach. According to Mobile Today, a range of contract bundles will be offered that include a 3G dongle, data plan and the netbook. Similar deals are available for most of the other major networks.